Known for its country charm and superb location just west of Philadelphia, Chester County is one of Pennsylvania’s top places for real estate. History abounds in this quaint area while homes for sale in Chester County are very affordable. A prime location for commuters to Philadelphia as well as families, young professionals and even retirees, Chester County has much to offer prospective residents. Real estate in the county is among the most affordable in the region and offers competitive interest rates and strong value. Properties for sale in Chester County include historic homes, single-family homes, condos, duplexes, starter homes and luxury estates. Thanks to its easy access to Philadelphia and other nearby cities, Chester County has enjoyed robust growth over the years yet retains much of its rural, historic charm. The county was established in 1682 and grew steadily as an industrial and agricultural center. It played a key role in the American Revolution by bearing witness to the Battle of Brandywine. The county continued to develop and prosper throughout the years and continued to see steady growth after World War II. Today it is one of the top places to live for commuters to Philadelphia and offers a high quality of life and excellent amenities, attractions and historical sites of interest. Chester County is noted for its family-friendly appeal, colonial history and quaint country charm. It offers a wide array of acclaimed public school districts as well as renowned colleges such as Penn State Great Valley, West Chester University of Pennsylvania, Cheyney University of Pennsylvania and many others. It also boasts an extensive transportation network that includes Interstate 76 and close proximity to Philadelphia International Airport. In addition, it plays host to a strong economy, an affordable cost of living and abundant parkland in its many cities and towns. 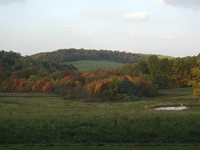 The county also enjoys a rich variety of attractions and sites of interest. There are beautiful parks like French Creek State Park, the White Clay Creek Preserve and a number of other historical sites. It also offers close proximity’s to Philadelphia’s distinguished museums, historical landmarks, parks and other attractions. Those interested in Chester County real estate should get in touch with Jacquie Testa, a Chester County realtor right away. With its prime location and exceptional quality of life, it offers many of the Philadelphia region’s top real estate opportunities.